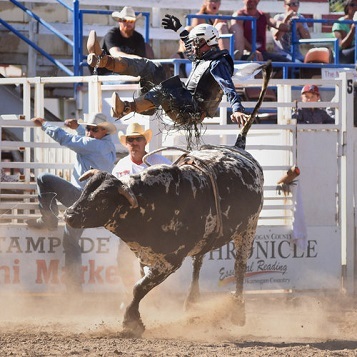 About – Omak Stampede Inc.
August 8-11, 2019 celebrates the 86th Annual Omak Stampede! We would like you to join us for a weekend of western entertainment that will be one of your fondest memories. August 8-11, 2019 celebrates the 86th Annual Omak Stampede! We would like you to join us for a weekend of western entertainment that will be one of your fondest memories. From the Thursday morning ride-in to the Sunday running of the World Famous Suicide Race, you will enjoy an action packed weekend to include Davis Shows Carnival, Wrangler Kids Night, Indian Encampment & Pow Wow, Western & Native Art Show, Rodeo Dances and Vendor Row, Omak Stampede “Company Store”. 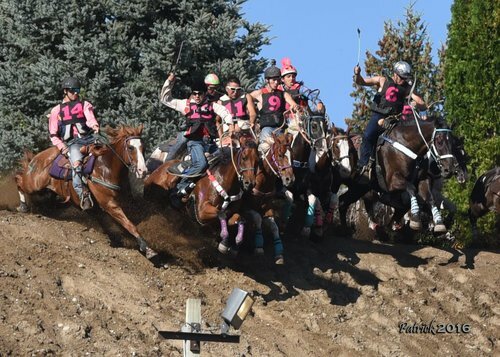 As well, Omak Stampede continues to support the Tough Enough to Wear Pink Campaign. The 86th Annual Omak Stampede, August 8-11, 2019. “Always the 2nd Weekend in August.” In 1933 the rodeo that became the Omak Stampede was just a dream of two Okanogan County stockmen, Leo Moomaw and Tim Bernard, who had started a rodeo string in 1932. They approached Omak’s businessmen, who were eager to try anything to keep the Main Street of Omak busy. Except for safety measures that have been added, the race is run today as it was in 1935 “no holds barred” on a course that starts 50 feet from a sandy bluff across the Okanogan River from the Stampede arena. Horses and riders race 225 feet down the bluff to the river, swim or wade across and dash 500 yards to the finish line in the center of the Stampede arena. 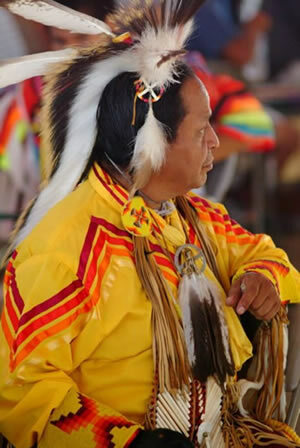 Sponsored by the Colville Confederated Tribes, the annual Indian Encampment and Pow Wow held at the Omak Stampede Grounds is a traditional gathering. The Indian Encampment features an authentic teepee village, dancing, drumming and singing competitions and stick games – a Native American game of chance.